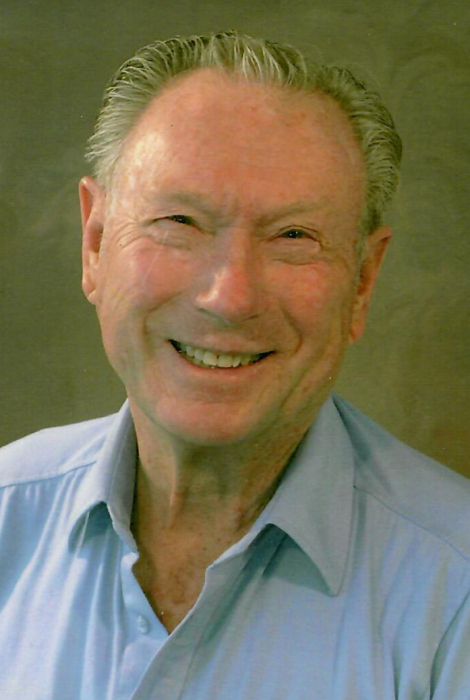 Don Bailey Lubeck age 90 of Clearfield, Utah passed away peacefully at his home on April 14, 2019. He was known by all as an optimistic man who was very kind, caring and loving and will be truly missed. He was born in Murray, Utah on June 22, 1928 to William and Vera Bailey Lubeck. He graduated from South High in 1946. He loved all sports and the out of doors. His pastimes included hunting, fishing, playing marbles, basketball, baseball, golf and bowling. He has been legally blind for the past six years and still carried a 151 bowling average in two leagues. He served his country in the Korean War. Upon returning home after his service he worked at Hill Air Force Base for 37 years. He was a member of the Church of Jesus Christ of Latter-day Saints and served in many positions. He has been a host in the Joseph Smith Memorial Building for 12 years. He married Irene Campbell on June 26, 1950 in the Salt Lake Temple. She passed away on May 18, 1990. They had four children, Barbara (Don) Sauvageau, Janet (Mike) Cusick, William (Leslie) Lubeck and Patricia (Dave) Fowler. They had 10 grandchildren and 16 great-grandchildren. On February 5, 1994 he married Janet Stromberg Thompson in the Ogden Temple. He has four step-children, Christine (Dave) Allred, Bart (Julie) Thompson, Andrea (Mike) Aitken), and Alecia (Lane) Fishburn. When they married he gained 18 grandchildren and 24 great-grandchildren. Funeral services will be held Friday, April 19, 2019 at 11 a.m. at the Clearfield 5th Ward, 935 South State Street. Friends may visit family Thursday from 6 to 8 p.m. at Lindquist’s Layton Mortuary, 1867 No. Fairfield Road and Friday from 9:30 to 10:30 a.m. at the church. Interment, Clearfield City Cemetery. There's still time to send flowers to the Visitation at the Lindquist's Layton Mortuary from 6:00 PM to 8:00 PM on April 18, 2019.